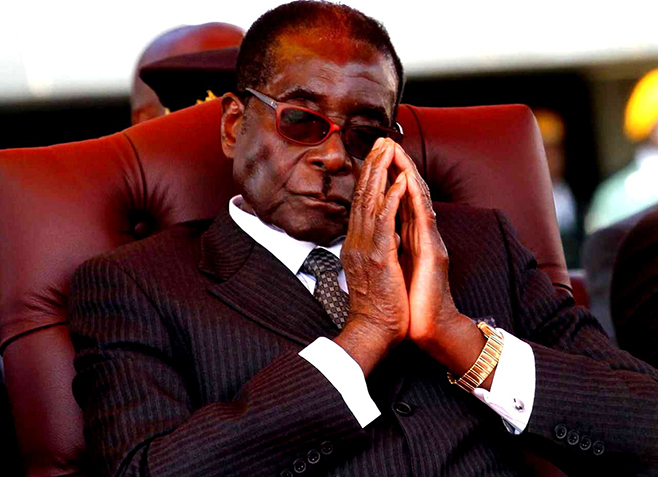 ZIMBABWE – Zimbabwean lawmakers have voted to wipe the record clean after President Robert Mugabe delivered the wrong speech at the opening session of parliament. At the grand event in Harare on Tuesday, Mugabe, 91, had repeated the state of the nation address he gave to the legislature last month – triggering ridicule and criticism from the opposition. Mugabe called a special session of parliament to fix the mistake, but was not present himself as lawmakers discussed whether to adopt the “correct” version of his speech. Emmerson Mnangagwa, Zimbabwe’s vice president, moved a motion for parliament to “withdraw and substitute the wrong speech”. After a heated debate led by the opposition Movement for Democratic Change (MDC), the parliament easily voted to approve the motion. “I now lay on the table the correct speech by the President of the Republic of Zimbabwe,” Mnangagwa, who was jeered by opposition lawmakers, said. The parliament is dominated by Mugabe’s ZANU-PF party. On Tuesday, Mugabe, who has ruled since 1980, read the 25-minute speech through to the end, apparently unaware of the error. His spokesman admitted that the president was given the wrong text. The MDC called on Mugabe to resign over the blunder. “That clearly shows the president is a very old man,” MDC spokesman Obert Gutu told a news conference Wednesday. Zimbabwe is due to hold its next presidential election in 2018, though previous polls that have kept Mugabe in power have been widely dismissed as rigged. Mugabe, Africa’s oldest leader, earlier this year fell down steps leading from a podium. He was unhurt, but video of the fall spread rapidly on social media. Tuesday’s opening of parliament was also tarnished by claims by opposition legislators of anonymous death threats warning them against booing Mugabe during his speech. Last month, they heckled him during his state of the nation address.